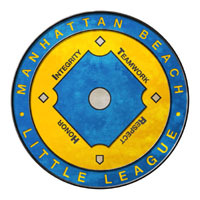 Welcome to the MBLL Training page! We've implemented several new initiatives this year including mandatory coach/manager training and free clinics for parents and kids too! Look for announcements in the calendar and on the MBLL welcome page, www.mbll.org. In-between clinics, come to this page for links to the best that the web has to offer in Little League training! What does it mean to be a Little League parent? What can you do to help your player and team? Little League International has a a short orientaion program you can access online for free. Parents and Coaches - Ever feel the panic when the manager throws the score book at you and asks you to help out? There are a good number of locations on the web that will help you learn how to keep score. Patrick Mc Govern, "The Scoring Enthusiast," provides a thorough tutorial on his site. Chris Swingley offers score cards and a turtorial. (You will need the authentication code for our league - 145332) The site is free, but you will need to refresh your account every year.